"...This website helps the public to choose businesses that are more service oriented than being profit oriented. In today's world where everything has centered itself around money, Christian Owned and Operated is the shining lamp on top of the hill, featuring honest businessmen and women who put their values first, business next. 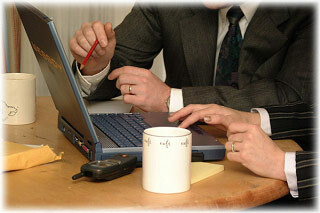 This goes to benefit you the customer by getting you invaluable business services at an affordable cost. So give Christian Owned and Operated your whole hearted support. I am proud to be a part of Christian Owned and Operated directory." "Thank you so much Christian Owned and Operated! SOZO Hair Design has enjoy and are proud of being apart of your fast growing networking businesses website. Our website has not been on-line for very long, but already we have benefited so much from advertising on Christian Owned and Operated. "WE REALLY APPRECIATE ALL THAT YOU ARE DOING. GOD WILL CERTAINLY HONOR AND BLESS YOUR BUSINESS!" "Your site is a great value and much needed service"